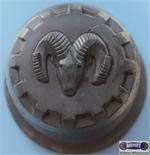 1563a, CENTER CAP USED, 88-90, DODGE, DAKOTA, BLACK PLASTIC CAP, 1/4" LIP, 12 RECTANGLE INDENTS, RAISED RAMS HEAD, 3-3/4" DIA. 1613a, CENTER CAP USED, 88-94, CHEVY, 1500, PICKUP, BLACK PLASTIC CAP, 5 FAKE ALLEN HEADS, CHROME OUTLINED GOLD BOWTIE, METAL RINGS, 6-9/16" DIA. 5002b, CENTER CAP, USED, 83-94, CHEVY, GMC, BLAZER, JIMMY, SONOMA, S-10, S15, BLACK PLASTIC CAP, 5 FAKE LUG NUTS, RAISED CENTER, 4X4 LOGO, 7" DIA. 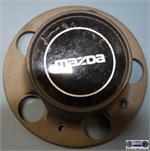 58632, CENTER CAP USED, 81-83, AUDI, 5000,. 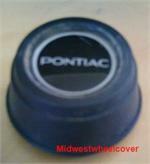 BLACK PLASTIC WITH RAISED LOGO IN CENTER & RING ON OUTER EDGE. 4 CLIPS 2-1/4" DIA, FOR A 14", RIM. 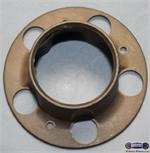 Price: ORDER UNDER 59499, CENTER CAP. 59570, CENTER CAP, 16", 05-10, MINI COOPER, BLACK PLASTIC CAP CHROME WORD MINI, 4 PLASTIC CLIPS, ALIGNMENT PIN, 2-1/8" DIA. ORDER UNDER 59499, CENTER CAP.